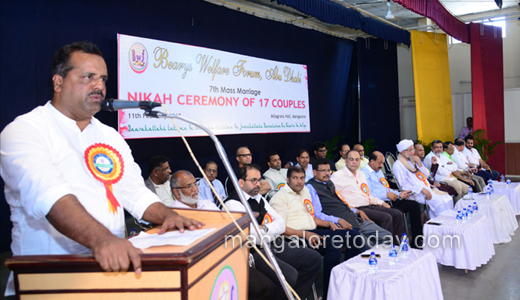 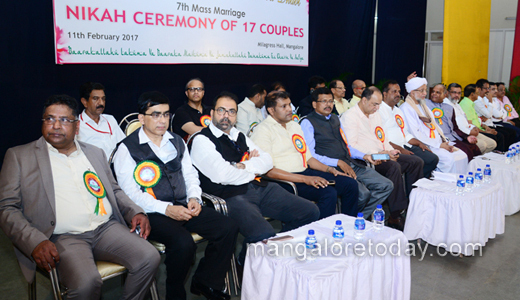 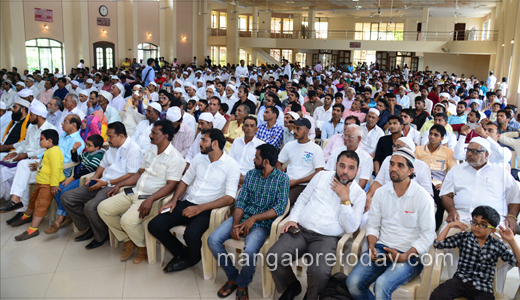 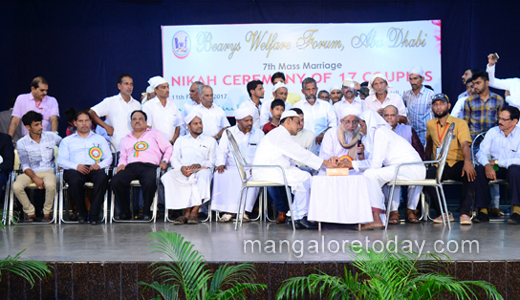 Mangaluru, Feb 12, 2017: The mass marriage ceremony sponsored by the Beary’s Welfare Forum (BWF), Abu Dhabi, held at Milagres Hall here on February 11, Saturday, saw 17 couples tie the nuptial knot. 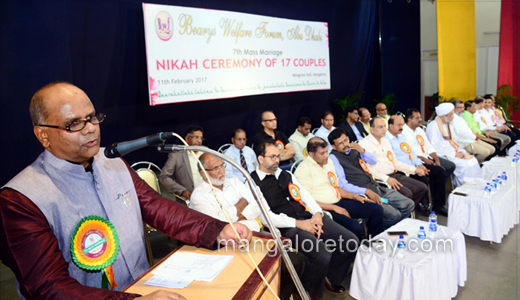 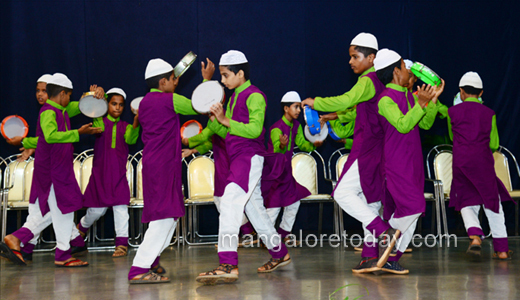 The Qazi of Mangaluru, Twaka Ahmed Musliyar conducted the Nikah and also offered the duwa. 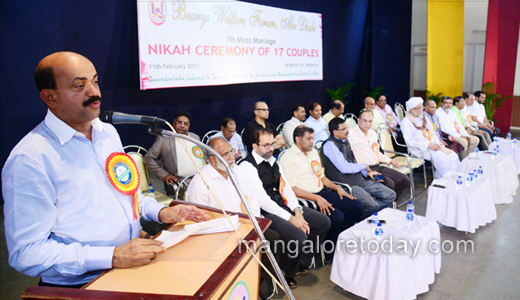 BWF President Mohammad Ali Uchil said with the 17 weddings this year so far the BWF has been able to conduct 100 weddings. 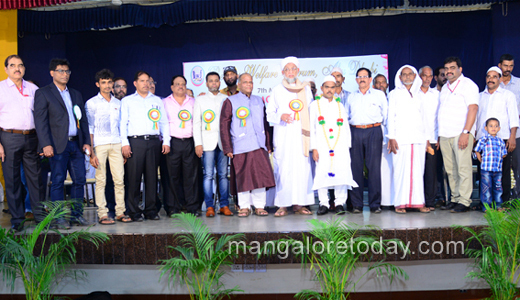 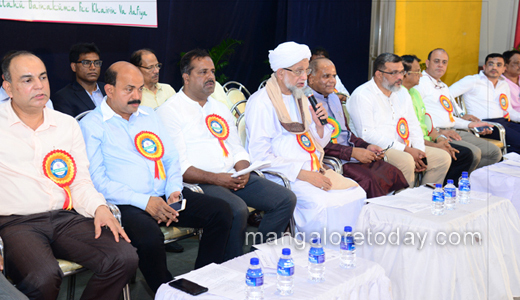 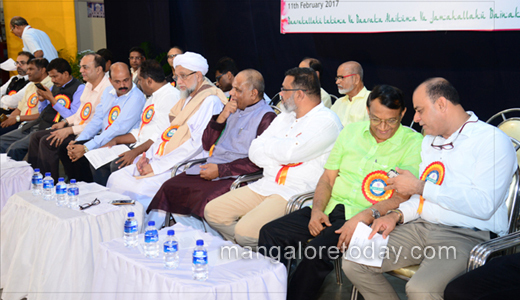 BM Farooq, President of Bengaluru Beary Welfare Association, S M Rashid Haji, President of Bearys Chamber of Commerce, Mustafa S M, President of Karnataka Beary Sahitya Academy and others were present.